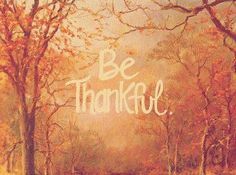 This morning as I sit here listening to the rain, sipping warm coffee and enjoying a quiet house I am filled with thankfulness. Then it dawned on me, so much of the world is not and I remember how lonely and destitute that kind of lifestyle is. Talk about living in a parched land, being thirsty yet nothing around to quench that thirst all while holding a bottle of water in your hands. Sounds simple doesn't? 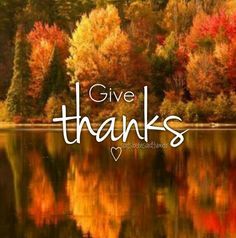 To give thanks. Not just going around the table saying one thing your grateful while staring at a huge buffet of food once a year, but a life full of gratitude sometimes that it hurts because you are just so overwhelmed with emotion. Living with a thankful mind, heart and soul doesn't mean that your life is perfect, it just means you can find the peace and joy in every situation even if it is difficult for others. Have a leaky roof on a rainy day? Be thankful that it isn't over one of your children's bedrooms, the living room but is contained to the garage ~ in an area that has no insulation and can be easily repaired. Low on groceries? What a great time to scrounge in the pantry and create a new recipe for your family ~ and who knows!? It may become a new favorite! Low on cash and unsure how to pay the next bill? 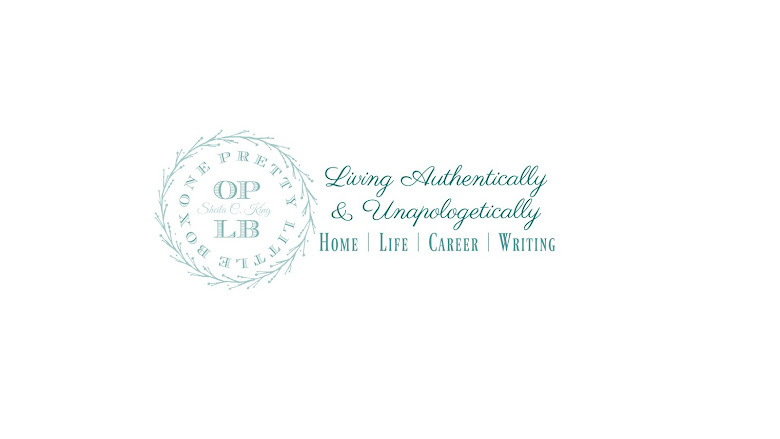 What a GREAT way to test your faith, and muster up some motivation to live better in your life. No matter the situation ~ until you can find the thing to be thankful for (even the tiniest of tiny) you will face situation after situation that will test you to your limits. 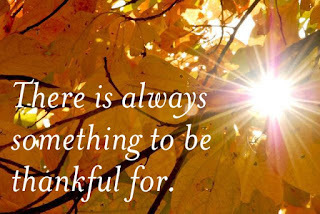 Thankfulness is not hard ~ unless you like to look for the negative things in your life. Thankfulness doesn't have to be tedious work ~ unless your motivation simply is to live a greedy life. 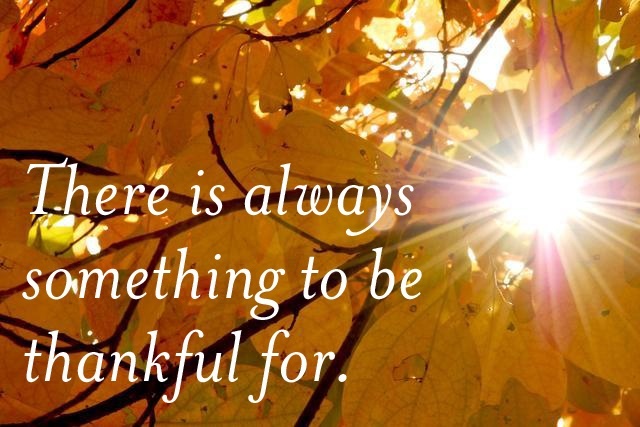 Take a moment today and truly make a list of every single detail in your life that you are thankful for. Even if it starts out wit the simple fact you have a hot cup of coffee to enjoy you will soon be thankful that the cancer scare you were facing was just that ~ a scare and you are healthy and strong! There are many facing their last breath as we speak. I am so thankful for our children ~ that they are healthy, alive, and well. Not everyone has that pleasure. Many grumble about Mondays but I see them as an opportunity to continue working one more work week while so many feel hopeless on unemployment. Until next time, don't forget to say "Thank you! Thank you! Thank you!" for all of life's gifts ~ even the tiny ones! Ps. That picture above these words right here ~ I would like to beg to differ. 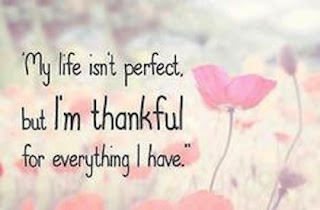 See..... when you are thankful for all that you have ~ your life is perfect just the way it is!